Effective immediately, Novak will become EYOS’ Director of Sailing Operations and manage the preparations for all sailing expeditions. He will coordinate the lengthy permit process, assist Owners and Captains with itineraries and passage planning, and generally prepare the yacht, its crew and the EYOS Expedition Leader and Ice Pilot for their voyage into the ice. As part of the polar preparations, Novak will visit sailing yachts months in advance of the expedition, meet with the Captain and crew, and author a comprehensive report detailing how a specific yacht should prepare for and undertake its polar voyage. Novak will continue to operate his two purpose-designed and built sailboats, Pelagic and Pelagic Australis, on expedition charters under the Pelagic brand. 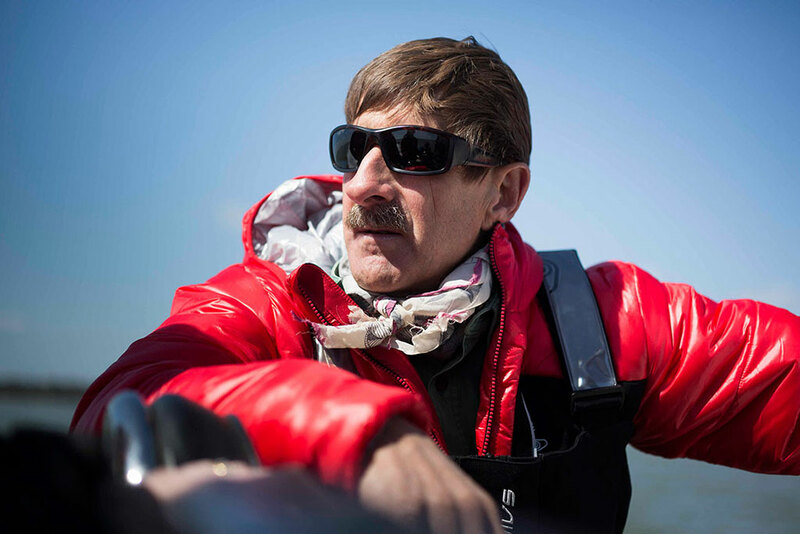 Skip Novak is widely considered the world’s preeminent authority on polar sailing, with almost three decades of high latitude sailing experience. As the builder and operator of both Pelagic and Pelagic Australis, he has set new standards in expedition yacht construction and design. Skip’s notable sailing achievements include four Whitbread Round the World yacht races since 1977. In these races, he navigated the British Cutter King’s Legend to 2nd place and Simon Le Bon’s Drum to 3rd place. He also was project manager and skipper of the Fazisi, the first Soviet entry in the Whitbread Race. In addition to sailing, he is a skilled mountaineer and has partaken in climbing expeditions to New Zealand, the Alps, East Africa, Sikkim, Nepal, Patagonia, South Georgia and Antarctica. Skip is frequently asked to comment on high latitude adventuring and ocean sailing by radio, TV and print media. He also writes a monthly column in Yachting World Magazine. EYOS Expeditions has been designing private super-yacht expeditions since 2008, and the company’s co- founders have spent decades designing groundbreaking itineraries. EYOS Expeditions holds several ‘world’s firsts,’ and they routinely take clients to destinations rarely or never before visited by private yachts. In locations as varied as Vanuatu to Franz Joseph Land, Russia, they remain committed to delivering once-in-a-lifetime experiences for clients while maintaining the highest standards of safety, professionalism and environmental stewardship. In 2015, EYOS partnered with Damen Shipyards for the design of the revolutionary SeaXplorer yacht range, the first purpose built, globally capable and Polar Code compliant superyacht.